Pay him $3 and tell him to get lost. We live near Dr. Henry Wise HS and we have been celebrating his departure. 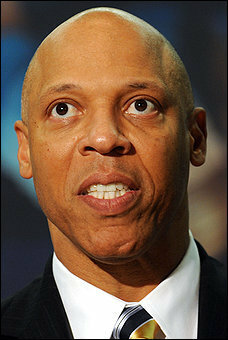 Dr. William Hite is the worst supritendent who ever managed Pgcps. He only think about his ego. Good riddance for sure! Pingback: Update:Ms. Shilling going to Jail on Sept. 7, 2012. « pgcps mess – Reform Sasscer without delay. Many parents in Philadelphia are concerned if Dr. Hite has the leadership skills and experience to turn the Phila.School District. We also would like to know if he has the courage to stand up against forces that have worked against tge development of all children. We would like to meet in person to discuss these concerns. We would be more than happy to travel to Maryland to discuss these matters/concerns. We would be happy to host you and discuss strategies to help with the situation. This is the only way to move our communities forward. Are you available to meet the 2nd week of March? No problem. We hope to see you in March. Please give a date, place and contact info. Pingback: Hite’s 10% pay cut reinstated in the middle of the night. | pgcps mess - Reform Sasscer without delay. Pingback: Hite’s 10% pay cut reinstated in the middle of the night. | Help Change The World. The Future Of The County Is Now.